Struggling to do invest better…or trying to make ends meet…or getting a financial problem solved! You just do a quick search on this site, and you immediately have a step-by-step solution from one of the renowned financial experts in our country… What would it be like, to have that guidance, always at your fingertips? 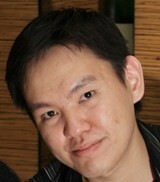 I'm KCLau, Malaysia's No.1 online financial educator. I started KCLau.com in Dec 2006. I started hosting webinars (seminar conducted online) since March 2012, every week and I'm still doing it now. Why? Because I know that it is never convenient to get financially educated. There is no financial literacy program at schools. So YOU TOO, can become financially SUCCESSFUL. 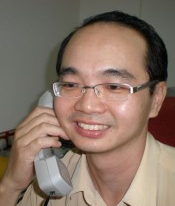 Expert: Ishmael Ho, CEO of Ho Chin Soon Research, Malaysia renowned property research firm. 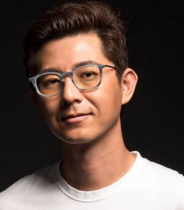 Expert: Gary Chua, CEO of SMART Financing. Access all the webinar recording related to personal finance and investment, that I’ve done in the past since March 2012, that you might have missed! And only PWM members get access to the entire library. You get exclusive interview sessions, which are not conducted live and not opened to public registration due to the speaker’s requirement. The recording is only made available to PWM. You can download the video and audio files so you can watch it whenever, wherever you want, even on your mobile devices. Special summarized notes are made for members only. If you want to glance through the content of the webinar without listening to the whole session, you can make good use of the PDF notes we put up! PLUS, you also get those presentation slides made available by speakers. I may not be able to read, listen and watch all of them (webinars) but they all add value to my life. It has been an excellent learning experience! I been following you almost 2 years now and realized that I have got a lot of info about finance. It had changed my perspective of growing my money! The webinar about the "7 Things to Consider When Investing in Gold' was a 2 thumbs up from me... it was really really informative and I managed to clear my doubts and misunderstanding on the subject. Thank you..looking forward to more webinars like this. What you are doing is amazing! It provides people with financial knowledge and a source of inspiration for greater financial achievements. I want to make it a no-brainer for you to check out PWM for yourself, so this is the easiest, most risk-free guarantee possible: If you aren’t 100% in love with PWM, I will gladly refund your money. If these webinars and interviews don’t help you get the results you’re after, just email us and we’ll issue a prompt and courteous refund within 30 days. It’s that simple. When you click the link "JOIN NOW", a payment form will pop up. Enter your payment details and click "Pay"
When you submit your payment info and confirm, it may take up to several minutes to process the payment. Once payment is successful, please wait to be redirected back to create your membership account. Upon successful payment, you shall be automatically redirected to create your account. If there is any problem, just email to support@kclau.com. PWM is focusing on personal finance topics, such as investment, insurance, debt management etc. Meanwhile, Founder Method training is arranged by my business partner Evanna Phoon. 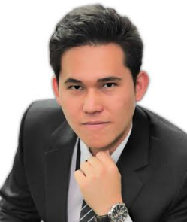 The content is about entrepreneurship, personal development, and business issues in Malaysia context and environment. PWM is an online membership site that contains the recorded interview session of financial experts from different industries (investment, insurance, estate planning, unit trust, etc). These people are sharing their knowledge that may help you to achieve financial success. You will get a secured account to login to the members area, where you can download – video recording of the online webinar – mp3 version of the webinar – PDF file of the presentation slides and summarized notes. Yes! You can play the mp3 on your smart phone while driving. You can watch the video on iPad and other mobile device too. Always. If you aren’t happy, just let us know within the first 30 days. Our team will promptly and courteously cancel your subscription. Sometimes people join PWM, and they feel overwhelmed by the hundreds of webinars and interviews. I get that. In addition to our archives, we add new webinar recording on a weekly basis. That’s because we’re committed to being the most in-depth, complete resource for you to gain financial knowledge. Instead, after you’ve identified your #1 priority, choose the video on that topic, and start there. If you want to learn how to do investment, search the category and start there. 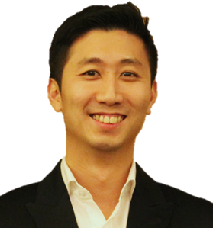 Expert: Alan Tan is the author of three books including Make Money Online Without Selling Anything and How to Make Money in Stocks. 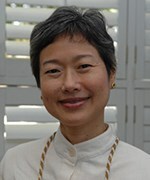 Expert: Lieu Ching-Foo, independent financial planner and the founder of HowToFinanceMoney.com. 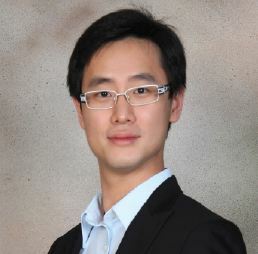 He writes for various magazine like Money Compass and provides independent financial planning services full-time. 3.02D East Wing, Level 3 Menara BRDB, 285 Jalan Maarof, Bukit Bandaraya, 59000 Kuala Lumpur, Malaysia.